"The terror threat level is still very high and we can't just lift emergency rule without adapting our law accordingly," said MP Yaël Braun-Pivet from the government party La Republique en Marche (LREM). She heads the National Assembly's Law Commission that has drawn up the new anti-terror legislation. Representatives of the government, rather than judges, will continue to be able to confine individuals. The confined will, however, be free to move around their hometown and not just their house, as was the case under the state of emergency. They will have to report to the police once a day. Prefects will still be able to order searches of homes, although they now need the go-ahead from a judge. The police will maintain their power to set up security perimeters and search people at events and places that are thought to be at high risk of a terror attack. They will also keep the emergency rule power to establish border checks with the controls being extended to certain highways, train stations, airports and harbors. That's the version of the law recently voted through by the National Assembly. These rules — or something very close to them — are likely to come into effect before November 1. Further step toward a repressive state? Braun-Pivet maintains the law will strike a fair balance. "We have consulted police services, the prosecutor's office, and the secret services and are providing them with what they need to protect our country. And yet, they will have considerably less powers than during the state of emergency," she told DW. But Laurence Blisson, secretary-general of the Magistrates Union, disagrees. The union has joined forces with dozens of NGOs, researchers and lawyers and is asking for the legislation to be withdrawn. She describes the anti-terrorism law as "a further step toward a repressive state based on general suspicion." For her, the state of emergency is being enshrined in common law almost one-to-one. She says the executive branch is getting more powerful, while the legislative is weakened. "The prefects' decisions to have houses searched and people confined will still be based on a very shaky legal footing — i.e., informal, anonymous and often vague notes by the secret services. Defending yourself against such accusations is extremely difficult and victims are often stigmatized by their neighbors, employers and even their own family." The magistrate also fears the police will be able to close places of worship arbitrarily and target the Muslim community. "The shutdowns can be based on ideas and theories held by certain people — this makes having the wrong opinion a crime," she told DW. She added that the security parameters would invert an important principle of French law. "The police will no longer need a reason to search you. Up until now, they had to have grounds to believe you had committed a crime or were about to commit one." "The new paradigm is: everybody is a suspect and if you have nothing to feel guilty about, you won't mind the police frisking you," she explained. Dominique Curis, civil liberties campaigner at Amnesty International, thinks that before adding yet another anti-terror law, the government should take the time to evaluate the existing ones. 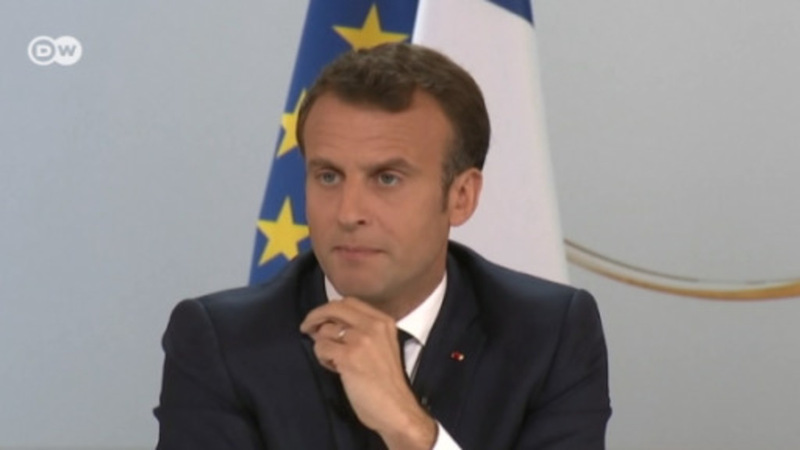 "France is resting on its laurels of being the country of human rights and thus doesn't seem to consider it necessary to put itself into question," Curis said. "We sadly have become an international figurehead, a laboratory for tough anti-terrorism legislation." She added that once taken away, civil rights were very difficult to re-establish. But Braun-Pivet says civil rights will be protected sufficiently under the new rules. "Judges will now be included in the decision-making process and confined people will only have to report to the police once a day and not three times, as the Republican Party was pledging. The law is a compromise," she said. "And given that the terror threat has been evolving, we need to give the police additional tools. It would be held against us if we didn't." She might have a point. According to a recent poll, four out of five French people are in favor of the new anti-terror law.